India in particular and South-Asia in general have witnessed a rapid increase in the prevalence and incidence of cardiovascular disease over the past 25 years. Lifestyles changes, unhealthy diet, lack of regular physical exercise, and obesity have all led to rising prevalence of metabolic syndrome. It is of no wonder that metabolic syndrome is being increasingly recognized as a clinical entity which is believed to be associated with increased risk of cardiovascular disease beyond individual risk factors, though this is at times debated. 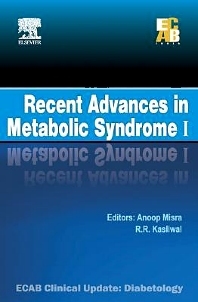 This monograph addresses the total nuance of metabolic syndrome in its entirety and answers questions frequently asked on this subject. The authors are internationally respected investigators in their own right having made major contributions in the particular field and are revered teachers as well. The book itself has clear sections which makes it very user friendly and divided into two volumes. The first volume has the evaluation of metabolic syndrome and the vastness of the problem and how it leads to smouldering dysfunctional endothelium making such a patient vulnerable to vascular disease. It purely deals with clinical issues we face daily in metabolic syndrome and patients. It is fairly broad-based to answer most of the queries which arise in a busy clinician’s head while dealing with metabolic syndrome on a day-to-day basis. Of special interest are chapters on metabolic syndrome in children, non-alcoholic fatty liver disease and hypogonadism.